My name is Kim JinSeok. (Given name: JinSeok. Surname: Kim) I'm from South Korea. After graduating from an art university with a degree in oil painting, I was active in an art institute for ten years as an artist. These days I'm living in Beijing, China with my charming and pretty wife, making a living as an international trade businessman. I have a beautiful daughter studying in Las Vegas, Nevada (U.S.A.). My mother and brother live in South Korea. I have enjoyed growing, painting, and taking pictures of orchids as my hobby for the past 33 years. My other hobbies are currency collecting, stamp collecting, music and photography. I hope to travel around the world someday and see all of the beautiful flowers and scenery with my wife. I hope that you will feely look around this web site and enjoy yourself. Please feel free to indulge your visual senses. 1977 - 1999 Held eight personal art exhibitions and participated in several group art exhibitions. 2000 - 2006 Chief representative of C. M. KOR Co., Ltd. China Br. 2000 - 2004 Reporter Editor of China Dep. 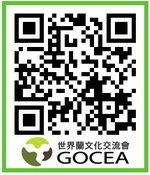 of Korea Enviroment Industry Weekly. 2002 - 2005 Official director of "Korea International Orchid Interchange Society's international department". 2004 - 2008 Journalist of China Dep. of Korea monthly magazine "Orchid Worlds"
2008 - Present Journalist of China Dep. of Korea monthly magazine "Life & Orchid"